Dalit scholars have lambasted the RSS for justifying the ban — now revoked -- on a Dalit students’ body in IIT-Madras through claims that educational campuses are inflicted with wide range of ‘red’ ideology. Lashing out at the RSS for “creating confusion” over Dr. Ambedkar, political analyst and writer Anand Teltumbde said the APSC was in no way “red” and it would be “beyond ridiculous” and it was “idiotic” to say Dr. Ambedkar was an enemy of the communists. Though Dr. Ambedkar had “serious reservations regarding the theoretical framework” of Marxism, he was “attracted” to the empirical goals of Marx, Dr. Teltumbde said. Prakash Ambedkar, grandson of Dr. Ambedkar, said the leader had “never declared” that he was an enemy of the communists and pointed out his academic initiative in holding parliamentary forums in colleges. Scholars pointed out that in one of his major final speeches, ‘Buddha or Karl Marx,’ in Kathmandu, Dr. Ambedkar had spoken at length about and compared Buddha and Marx. Dr. Ambedkar agreed with Marx on various fronts and supported Marxian ideas except that of class wars, said noted Dalit scholar Kancha Ilaiah. “Dr. Ambedkar was for socialism and equality…he favoured state-socialism. He was not owned by anyone, not even the Left. 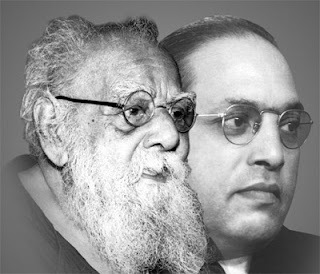 Ambedkar and Periyar were autonomous,” Mr. Ilaiah said. “Would Ambedkar have banned or allowed the banning of dissenting ideas? Prime Minister Narendra Modi talks of development, but where will the ideas for it come from? Universities are places where ideas need to be developed and experimented,” Mr. Ilaiah said.